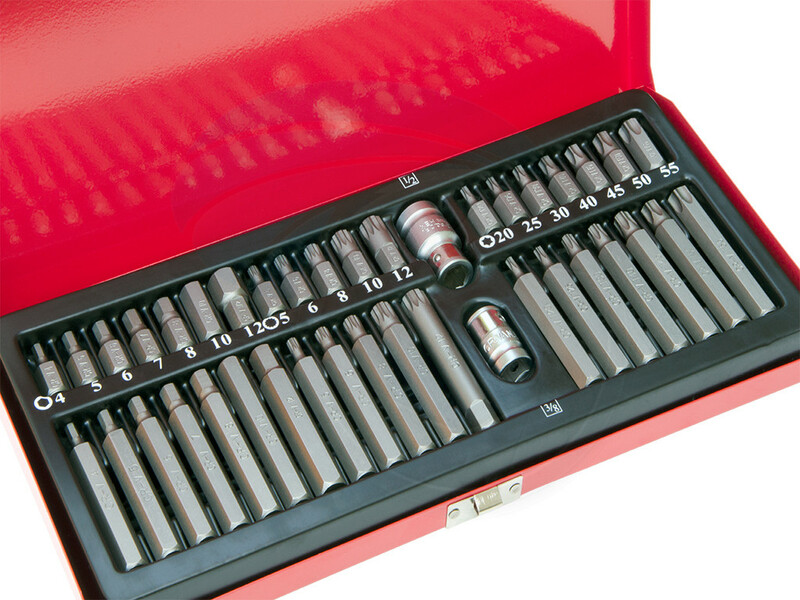 Set of different hexagon, spline, XZN, and torx bits. 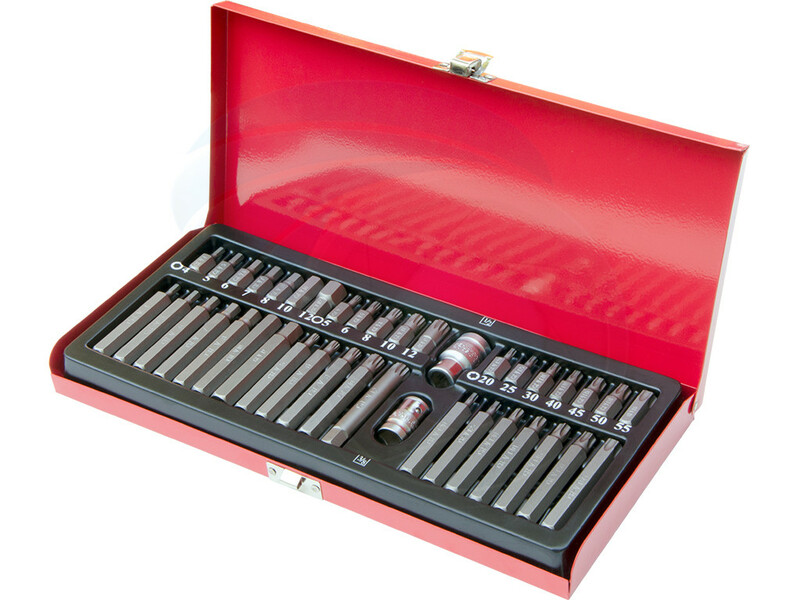 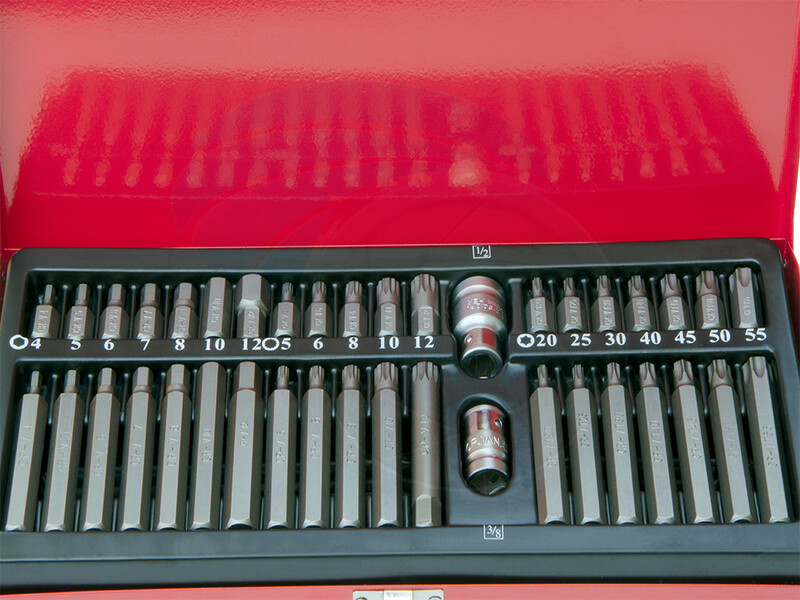 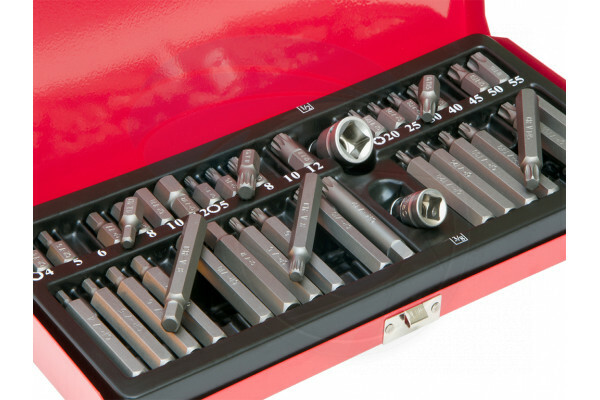 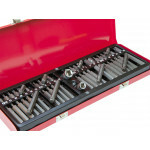 Driver bits are suitable for automotive and most mechanical repairs. 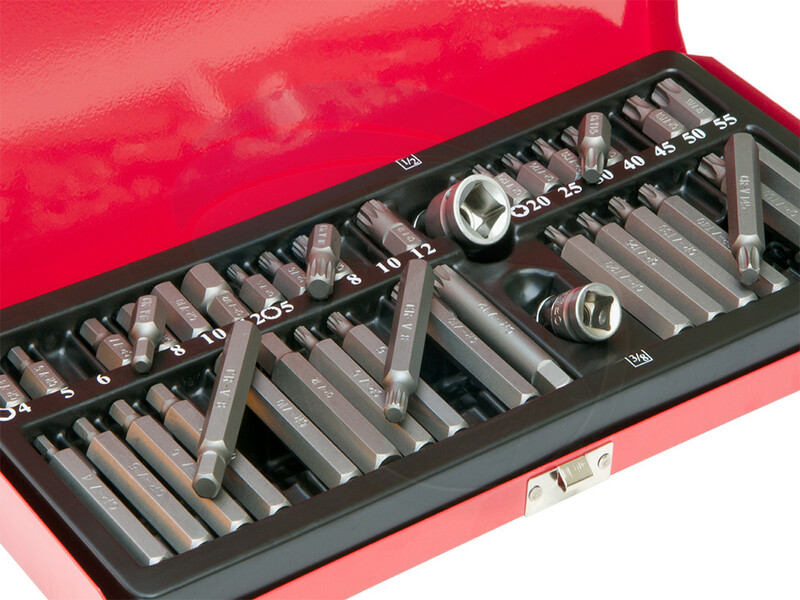 This set can be used with 3/8 and 1/2 inch standard socket wrench. 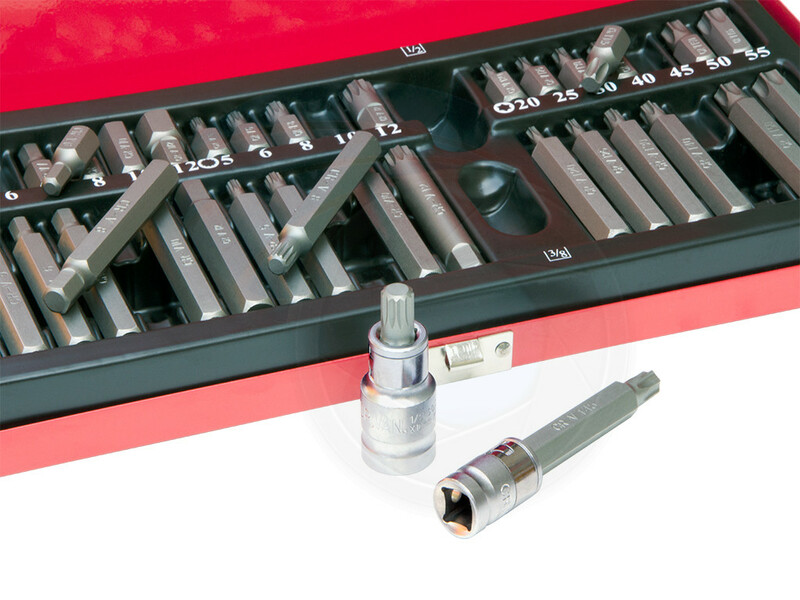 Bits and adapters are made of hardened CR-V steel for long life or durability. 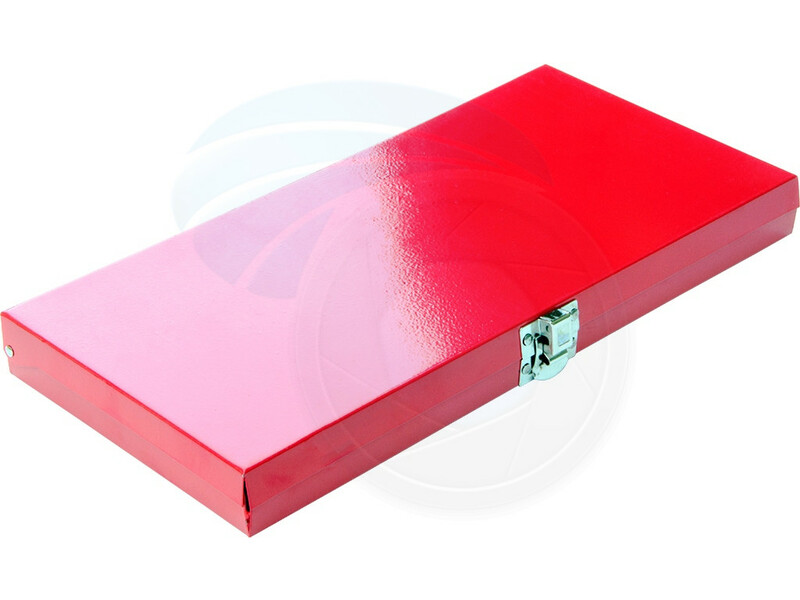 The set comes in red lockable steel case.